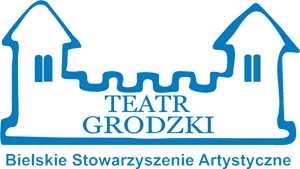 Teatr Grodzki established in 1999 by artists, pedagogues, culture promoters and entrepreneurs has engaged in supporting children, teenagers, adults and the elderly from the socially excluded groups. Teatr Grodzki is the only non-profit organization in the region of southern Poland with such a complex and wide artistic and educational program to combat social exclusion. The artistic and educational projects offered by Teatr Grodzki include arts workshops (involving theatre, puppetry, computer animation and fine arts), training programs (mostly in drama education and social economy) for instructors, teachers, therapists, artists, volunteers and workers of non-governmental organizations, and vocational training programs for socially excluded groups. -an extensive and highly regarded programme of learning and participation activities for people of all ages and abilities, especially those within marginalised and disadvantaged communities. This work is delivered by the Citizens Learning department, with a staff team of 8. -nurturing the talent and creativity of both established and emerging theatre makers. 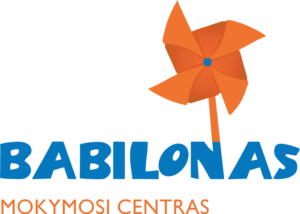 Youth centre Babilonas (established in 1993) isania an NGO, having more than 21 years of experience in youth work, inter-cultural youth exchanges, trainings for teachers, youth workers and other professionals. It is also highly experienced in organizing seminars, international conferences and other events. More than 14 000 young people have participated in its different programs. Besides its longstanding engagement in youth education, Babilonas has been also working with adults, including the disadvantaged. During the last time its main target group have been school teachers and women (more than 500 targets already). – the Creativity, promoting innovation in education and using new methodologies to empower young and adults. KNOW AND CAN ASSOCIATION is a non-governmental organization, founded in 2007 in Sofia, Bulgaria. It works on national and European projects, vocational guidance and career counseling and is developing programs, courses and activities in the sphere of non-formal and informal education and trainings. The Association is accredited as European Voluntary Service Center. It is a member of International Vocational Education and Training Association. The main goals of the Association are: to elaborate and apply specialized programs aiming to develop social and civil skills of children, youths and adults; to apply modern methods and technologies for development of non-formal education; to train specialists in the sphere of non-formal education; to stimulate and guarantee participation of people in national and international programs and projects.